A team of approximately nine Central Valley Ag (CVA) workers gathered east of Elgin on an early, foggy morning in the middle of July with a mission. 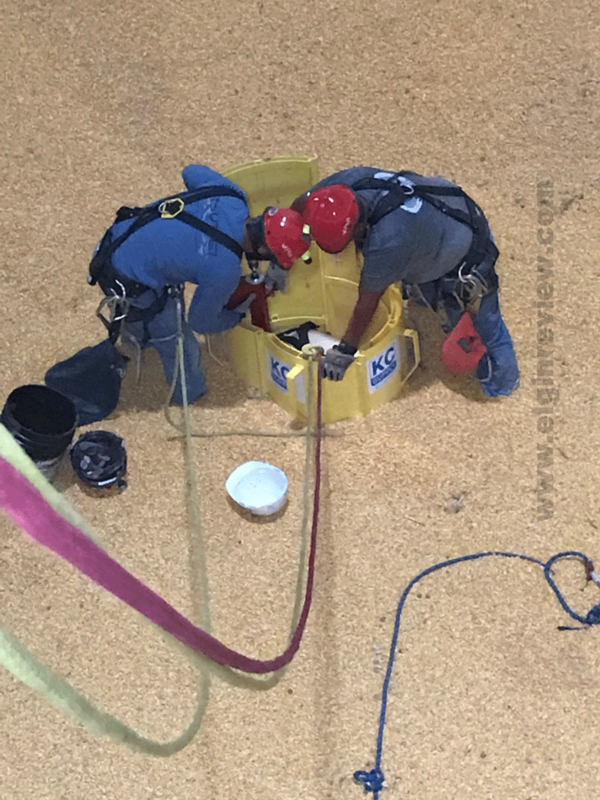 The CVA Emergency Response Team’s mission was to gain valuable practice on grain bin extractions, a skill that they hopefully won’t have to use often during their time on the team. On that morning, they met at the Meis Farms grain bins located just east of Elgin. According to Steve Wangler, CVA safety director, these practice drills serve a very important roll in the team’s readiness to respond when needed. CVA’s Emergency Response Teams are made up of CVA employees who are also members of their local fire departments. This allows their trained employees to bring this specialized skill back to the smaller fire departments. In their Region 1 (which includes Elgin), this training session was the third one staged. The team has done training with Neligh and Plainview previously. According to Wangler, the teams have done training in approximately 18 communities in their ever-growing coverage area. 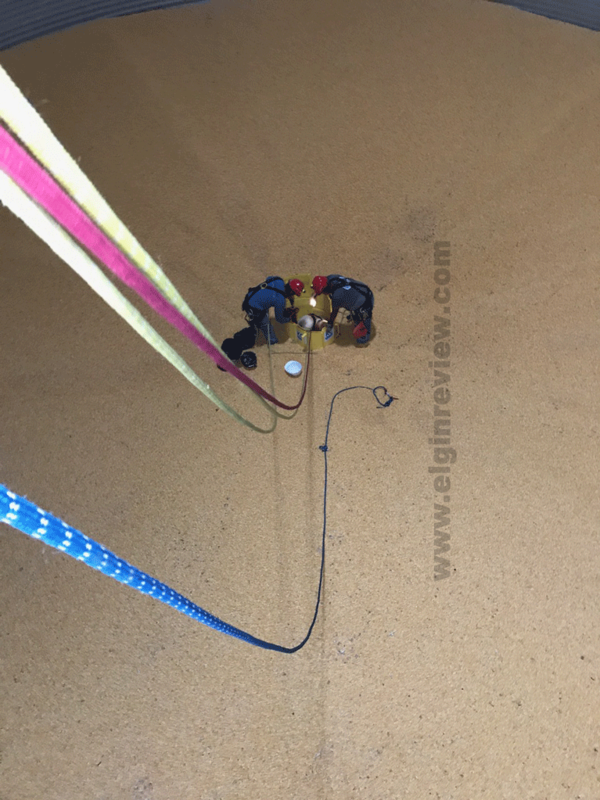 On this particular morning, the extrication of the 190-pound mannequin “Harvey” took a bit longer than they would like to see due to the way the “body” sprawled out under the grain, making it hard for the rescue team to insert a cone-shaped barrier which helps separate the body from the grain. 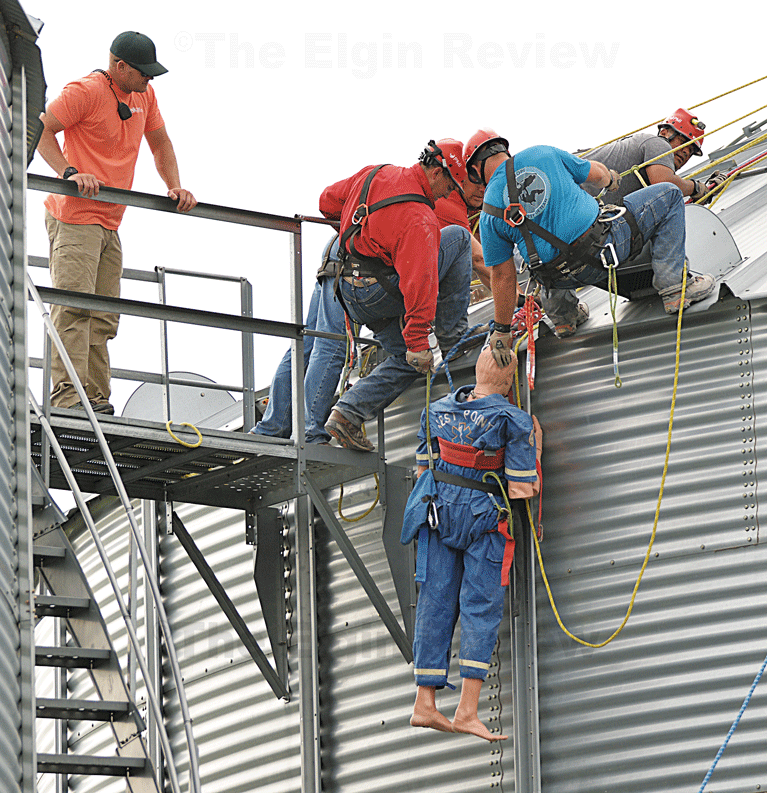 Rescuers enter the grain bin and rig the victim with harnesses to extricate them from the bin. The body is then removed through the hole and carefully lowered to the ground where it can be attended to. Local members of the CVA Emergency Response Team are Justin Henn and Greg Henn.